Minutes after I left the cinema after watching Paul Greengrass’ emotional thriller “Captain Phillips” I can safely say I nearly bought myself another ticket to watch it again and will most certainly be going back for another watch. 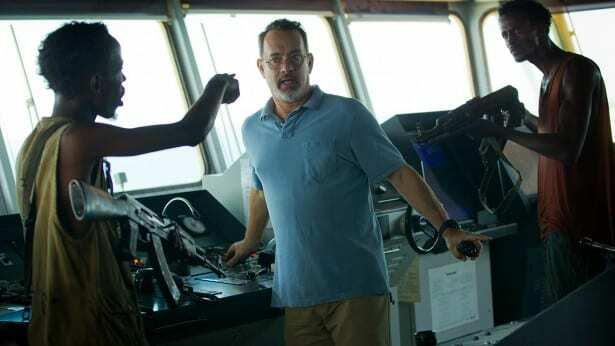 “Captain Phillips” stars the incredible Tom Hanks in his finest performance since, well, hard to say really considering all of his films are beyond brilliant. This film is genuinely an edge-of-your-seat thriller and it takes you on more twists, spins and turns than any rollercoaster in the world, put together. “Captain Phillips” is an extremely intricate and beautifully executed film written by Billy Ray, known for his brilliant writing of “The Hunger Games.” Everything about “Captain Phillips” is intense. It is full of tension, full of excitement, full of emotion and full of fierce performances. Tom Hanks, as we know, is a master of his craft. His acting never falters and his ability to lose himself into his character is beyond dazzling. 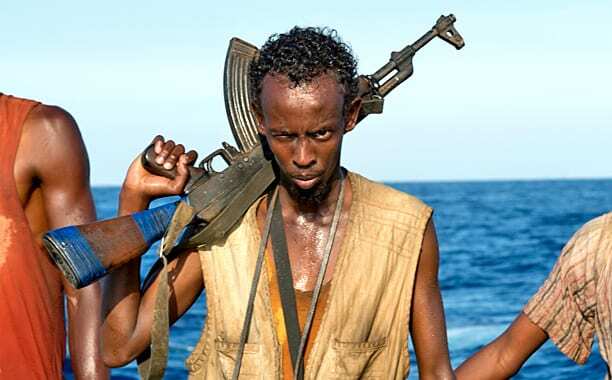 Then we have newcomer Barkhad Abdi, who makes his feature debut in the film as Muse, the leader of a small team of Somali pirates, on the lookout for ships to hijack. Abdi’s character, Muse has been carefully portrayed as a man with two options: poverty or piracy with the latter as his chosen career but with little hope that piracy will even prevent poverty for him. Greengrass carefully portrays Abdi’s character and those around him as men with little future and this tends to be noticed as we watch their characters develop throughout the film. “Captain Phillips” is a loose dramatisation and certainly not a factual film retelling the story of a very chilling day for the American captain, Richard Phillips. The movie takes us through the days of the captain and his crew as they attempt to deliver cargo through International Waters to Africa but the film unravels itself with a nail biting narrative that brings our protagonist through a journey of sheer gut, heroism and sensation. When watching this film I remember feeling the same elements of emotion, fear and vulnerability as I did when I watched “We Were Soldiers,” “The Pianist” and “United 93.” A film, so remarkable it will have you in tears at the end, and tears of sorrow, joy and relief. Every Tom Hanks film has me impressed, but I haven’t seen a Tom Hanks film in a long while that has had me gripping my seat in awe since “Cast Away”. Tom Hanks uses his stunning acting ability to produce a character that is raw and vulnerable with a heart that is heroic and protective of his cargo and his men. No matter what film Tom Hanks stars in, his dedication and devotion to filmmaking is always Oscar-winning and I will be extremely shocked if this film doesn’t win an award. Yet then you turn to the newcomer and what a newcomer he is, you begin to realise just what a masterful film this really is. Barkhad Abdi gave a performance that was absolutely sensational. Muse is desperate to fulfill his desire to please his elders with the ability to hijack a ship larger than anyone else, yet the fascinating thing about Muse’s character is that there is a sensitive undertone to his somewhat violent embodied soul. It’s interesting and it offers the audience a taste of complexity and intrigue because he doesn’t give the impression that he is evil. He gives an impression that he is a man doing a simple job. He also gives the impression that he is intrigued by Phillips and we can note this by his snarky, somewhat cheeky persona when he calls Phillips “Irish.” And tells “Irish” that “everything will be okay.” Phillips is American and has this state of demeanor that proves larger than Abdi and it’s like he wants to impress him, be better than him, and be better than an American or even better than America. He doesn’t realise that he could get killed, injured or arrested, it just doesn’t occur to him. This type of nature gives him such complexity and Abdi dominates those traits perfectly. My favourite part of the film is the final 30 minutes. There is so much tension amongst the audience that you could hear a pin drop. The pent-up emotion that has been gradually building up, layer by layer is immense and as we see our protagonists last moments, we can see the tension, emotion and vulnerability drain out of him second by second as we watch him come to terms with his ordeal and it is one of the most powerful endings I have ever had the pleasure of watching. This is when we see just how fine an actor Tom Hanks is and that no matter how many films he has been in, he still manages to completely captivate an audience. The beauty of Tom Hanks is his ability to capture the real human condition. He shows survival instinct, power, influence, guidance, vulnerability, exposure and finally, defeat. Tom Hanks is a man that has the ability to completely capture people, their hearts, their souls and their complete existence and the fact that Paul Greengrass managed to place people directly in a situation we can all imagine ourselves being but probably never would fills us with a sense of desolation because it highlights how defenceless we are against our own race. The technical executions of Paul Greengrass are anticipated including the powerful and stunningly captivating cinematography by Barry Ackroyd but big hats off to the beautiful editing by Christopher Rouse. I am for sure looking forward to seeing who will be nominated for Oscars because the talent behind this film is breath-taking. Overall, this film is filled with iron-clad cast, a brilliant crew and made in a way that targets your own being. This film is exhausting and thrilling; “Captain Phillips” is a powerful film and one you will not and physically cannot forget in a hurry.